The growing importance of partnerships in the insurance industry is prompting carriers to adopt collaborative business models and technologies in their quest for greater agility. Insurance providers are fast realizing that they not only need to react more quickly to protect their businesses from digital disruption. They must also secure alliances to capitalize on many of the opportunities this disruption is creating. Traditional business models and legacy systems don’t provide insurers with the flexibility they need. They can’t support insurers while they engage in multiple partnerships, of varying duration, across many different digital environments and market sectors. Our research shows that 38 percent of insurers have at least twice as many partners as they had two years ago. The number of partnerships in the industry is set to climb steeply. Eighty percent of the insurers we canvassed for our global Technology Vision survey believe their competitive advantage will be determined, to some extent, by the strength of their partners and ecosystems. Property and casualty insurance providers, especially, value their business partnerships. We estimate that carriers could generate as much as US$80 billion over the next five years from partnerships with organizations and ecosystems outside the traditional insurance sector. Key allies are likely to include big digital platform operators such as Amazon and Facebook, insurtech firms, payroll companies, motor vehicle manufacturers and wellness specialists. Insurers’ co-operation with such organizations will go beyond aligning strategies, products and services. It will require them to merge some of their technology resources and share their ecosystem platforms with their partners. To ensure the success of their new partnerships, insurers need technology architectures that are agile as well as robust. These architectures will have to support traditional legacy activities as well as new digital initiatives that could span multiple organizations and ecosystems. Collaborative approaches and technologies such as microservices and blockchain offer insurers and their partners the ability to quickly roll out new applications and then swiftly modify and extend them to meet changing market conditions. 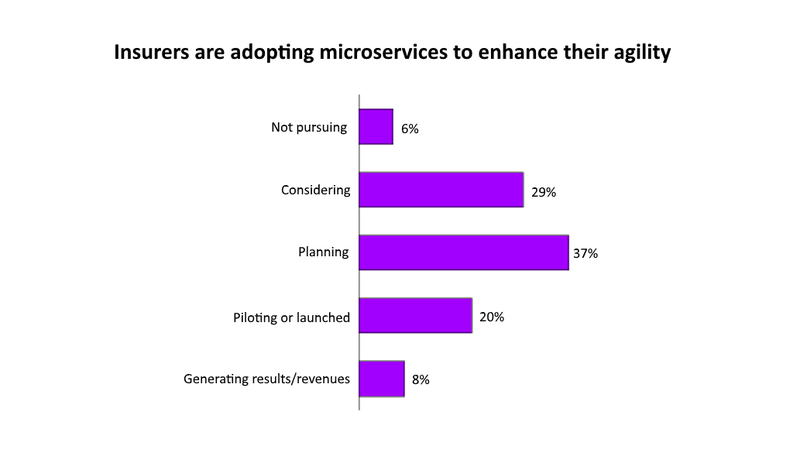 We found that 28 percent of insurers have already implemented microservices in their organizations. A further 37 percent are planning to follow their lead (see the illustration below). A microservices approach, which uses tools such as application programming interfaces (APIs) to break business applications into discrete components, allows insurers to seamlessly integrate their services with those of their partners. These applications can then be quickly scaled-up across the partnering organizations to support new business initiatives, expand common ecosystems and create new revenue streams. While microservices will help insurers build new partnerships, by allowing them to quickly share and expand their technology resources, blockchain will strengthen the ability of carriers to manage these alliances. Blockchain networks will allow insurers to exchange information with their partners quickly and safely. 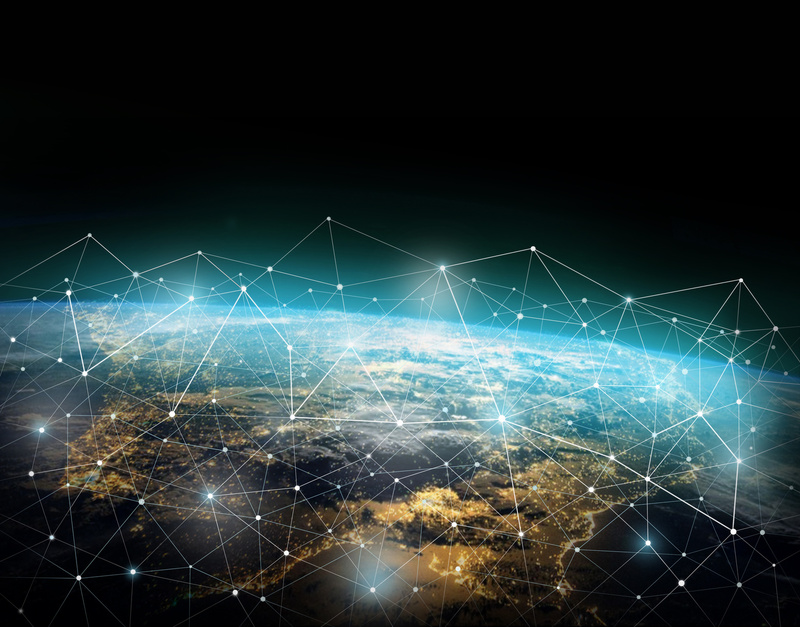 Blockchain’s inherent capacity to keep participants in distributed networks accountable to each other removes the need for intermediaries or additional security mechanisms. This enhances significantly the speed and ease with which insurers and their partners can transfer information. Insurers have been quick to recognize blockchain’s potential. We found that 84 percent of insurance providers believe that blockchain-based ledgers and associated smart contracts are going to change the way businesses engage with new partners. Around 46 percent plan to integrate blockchain technology within their systems within two years. For further information about how insurers can use agile approaches and technologies to capitalize on digital disruption, have a look at these links.